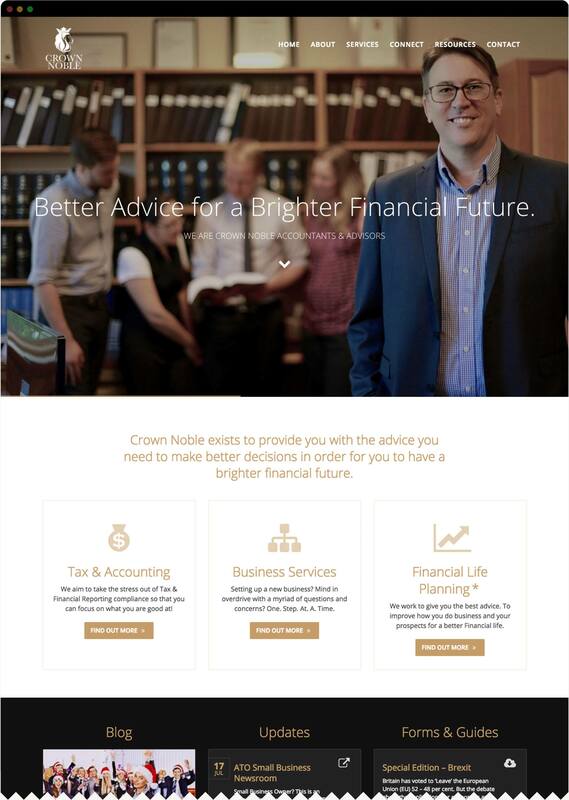 Jeff from Crown Noble was in need of a complete brand package as he re-faced his family owned and operated accounting firm. He approached Hello Hudson with a clear vision in mind, requesting that we help him bring that vision to life. 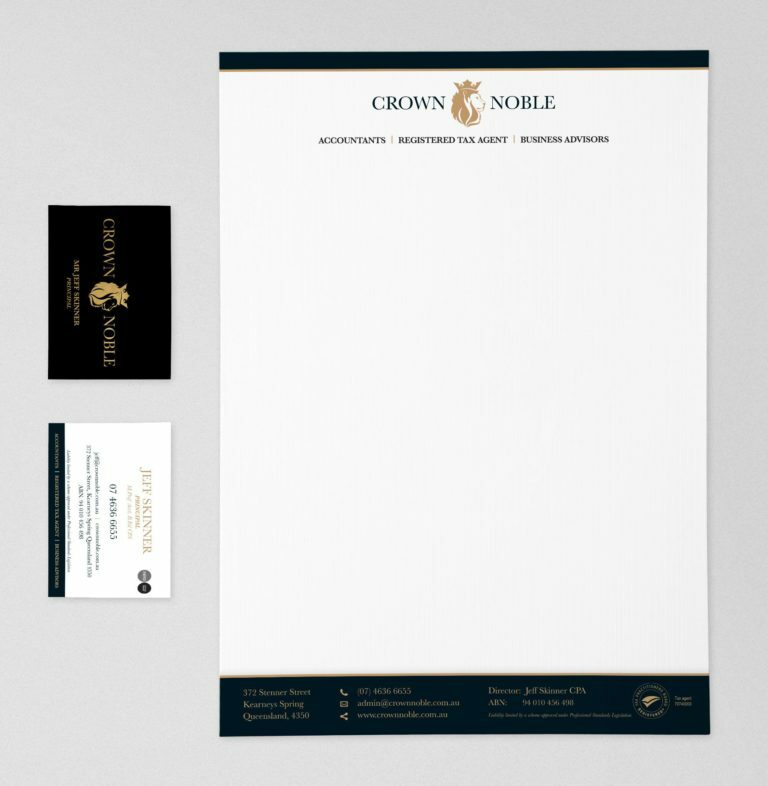 Crown Noble required logo design, full corporate ID and a website. We worked closely with Jeff to firstly create a brand that combined the two concepts of ‘Crown’ and ‘Noble’ – a brand that speaks of a royal–humility. We proceeded to then create a custom web platform that was both informative and inspiring. The clean design 100% backed up the new brand and allowed Jeff and his team to provide important information to existing customers and potential customers alike. I approached Ryan & Cas Hudson because my Accounting firm needed a total rebranding, from logo design & stationery to an engaging web presence that was unique and purposeful. I loved how I just became a collaborative part of Hello Hudson’s boutique design team. I really enjoyed the process as they kept me on task to assist them in bringing our brand to life. I knew what I wanted & they knew how to deliver it! The result was exceptional because they were focused on conveying the Crown Noble message and were able to perfectly match the Firm’s purpose with an outstanding and consistent design aesthetic. Their attention to detail and rejection from suppliers of imperfect print runs made me feel confident that not only was I getting great value but they ensured perfect quality. I would recommend Hello Hudson to people who need a personalised and consistent approach to professional brand identity. Just say Hello to the Hudson’s… you won’t regret it.